Mary Riposo is the co-owner of the Infinite Light Center for Yoga & Wellness, where she holds the title of Wellness Director. She has over 25 years of experience in complementary and alternative therapy and has studied with some of the country’s foremost leaders in the fields of Energy Healing, Intuition, and Past Life Therapy. Mary is a Reiki Master/Teacher in both the Japanese and Western (Takata) lineages. She is an Usui & Karuna Holy Fire® Reiki Master Teacher, and holds the prestigious title of Gendai Reiki Shihan. 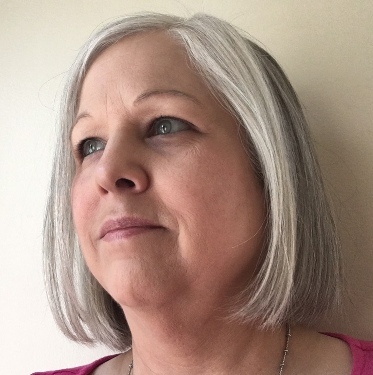 Mary is also a Sound Healing practitioner and the founder of Integrated Energy Healing ™, an energetic healing modality that combines the best of a variety of subtle energy methods to accelerate the healing process. Mary is passionate about assisting her clients in discovering who they are at Soul level and what they’re meant to do with their life. Through her Life Map ™ sessions, Mary can assist you in seeing the bigger picture of your life. You’ll understand where you’ve been, where you’re going, and why you’re here NOW. Mary’s wise and gentle manner, coupled with her keen intuitive abilities cause her to be sought after as a spiritual teacher, healer, and intuitive consultant to clients worldwide. Reiki (pronounced “ray-key”) is a Japanese technique used for stress reduction and relaxation, and promotes deep healing at all levels. Your Reiki session will include the following types of Reiki: Usui/Holy Fire® Reiki & Holy Fire® Karuna Reiki. Chakras are the openings through which life energy flows into and out of our aura. When your chakras are out of balance, you are more likely to experience stress, or to become sick. Mary will assess the health of your chakras, the seven basic energy centers of your body, using a gemstone pendulum. She will then clear and balance your chakras using subtle energy methods. Strips of colored fabric are placed on the body at various locations corresponding to the chakras, and energy is directed from the hands of the practitioner through the fabric for the purposes of healing. Mary uses a variety of high quality crystals and gemstones to balance and align your energy field, and raise your spiritual vibration, creating a profoundly relaxing and healing experience. Mary offers Sound Healing events, or Sound Baths, using a combination of Tuning Forks, Crystal Bowls, Tibetan Bowls, Gongs, Chimes and Recorded Music to balance and restore your entire energy field. For information on our next scheduled Sound Healing event, go to our Workshops & Events Schedule or call 315-373-0626. Integrated Energy Healing™ brings the best of several energetic modalities together to amplify the healing process. Tailored to your individual needs, each session includes an assessment of your energy field, with recommendations for action(s) you can take to move forward on your healing path. LifeMap™ consultation sessions will illuminate who you are at Soul level, identify the issues holding you back from truly living your life’s purpose, and give you a road map to live the life you were meant to live. Become a Reiki practitioner. Take a class or workshop with Mary today! To schedule an appointment with Mary, call/text (315) 416-7270 or email mriposo@infinitelightcenter.com. Payment: Mary accepts cash, checks, and all major credit cards. Gift Certificates Available. Get yours here.